Sailing from London Tilbury, the impressive Columbus cruise ship joined the Cruise & Maritime Voyages (CMV) fleet in June 2017. 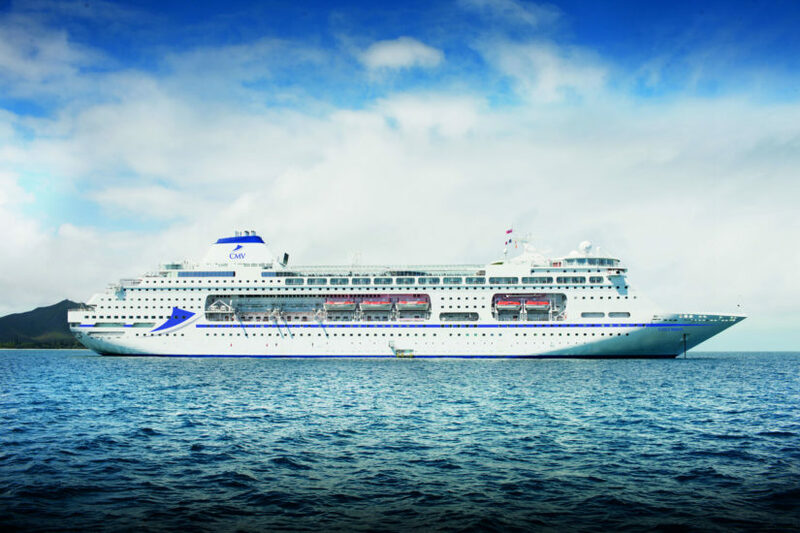 This splendid medium-sized cruise ship, with just 775 passenger cabins, enjoys a sterling reputation on the British cruise market and will offer the same traditional cruising style that CMV is known for. Travelling with Columbus is sure to create memories. Combining spacious surroundings and friendly service with stylish entertainment and delicious cuisine, Columbus is the perfect choice for those looking for the ultimate experience and comfort sailing from the UK. Offering a wide range of on-board experiences including seven different lounges and bars, two speciality coffee and tea shops, and two deck bars, this ship gives guests ample choice to tailor their leisure time around their preferences. You will never be short of amusement aboard this ship cruise, as the Dome Observatory, Nightclub and Palladium Show Lounge host nightly performances by the talented Columbus show team and renowned guest stars. There is even a large floor for dancing! However, she still retains a feel of intimacy and personal attention when compared with the ‘mega’ resort style cruising lines built today. The spacious surroundings on-board mean that you’ll always find a quiet retreat where you can put your feet up and simply take in the ocean views. Whether you choose to seek sanctuary with a good book in the library, get energised at the fully-equipped gym or unwind with a relaxing massage, ‘me-time’ doesn’t get better than this. The largest of the Canary Islands, Tenerife is dominated by Mount Teide in the central mountain range and several spectacular valleys covered with lush landscape, banana plantations and pinewoods. Santa Cruz, the island’s capital, offers a number of museums, and churches to explore together with tempting shops and restaurants. The exotic gardens of Garcia Sanabria Park are worth a visit as is Loro Parque, with its tropical gardens, collection of parrots, and an aquarium with sharks, sealions and penguins. Located on Navigator’s deck, the highest accommodation deck, there are 28 air conditioned De Luxe cabins with private balconies. They offer en-suite facilities with shower, wardrobe and ample storage space. The majority can be converted into a double bed and are equipped with a flat-screen television, hairdryer, fridge and personal safe. NB: Supplementary charge applies for specialty restaurants and Chef’s Table. The maritime themed Columbus Observation Lounge affords fine ocean views and a place to truly relax with a good book. Trumps & Aces is a new dedicated bridge and card room seating up to 100 guests complimented with a separate Library. Self-Service Laundry For the convenience of guests on board Columbus, self-service launderettes are positioned on Main Deck 6 and Upper Deck 10. Columbus offers expansive deck areas and promenades with traditional wooden decking, ideal for viewing on scenic cruises. When the weather is fine, there are two swimming pools and a large screen for outdoor movies and sporting events. Why not relax at the Ocean Terrace with a cocktail from the Club Oasis Bar or a bite to eat from the Alfresco Grill? To enable you to budget for any extra costs, CMV are offering a selection of four superb value onboard package options that include service charges, drinks packages, gratuities and other additions. Savings are available on these packages when booked and paid for up to 7 nights prior to sailing. For further information click here. 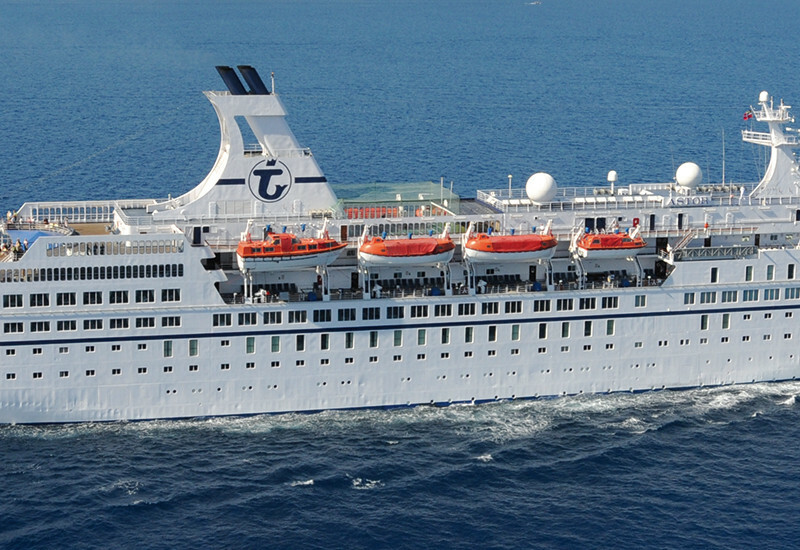 For further information regarding this cruise please complete the form below. We look forward to hearing from you.